Whats an Agents First Year Really Like? The second Tuesday of every month, we'll be hosting a career night at our office starting at 6pm. Please fill out this form to register! Do You Have What It Takes to Be an Agent in Tampa Bay? If you are looking to start or jumpstart a real estate career, look no further than the Duncan Duo Team. They have been the #1 Realtors in Tampa Bay for several years running, are the #1 RE/MAX Agents in Florida, #6 in the World, and are the Official Real Estate Agents of The Tampa Bay Lightning. 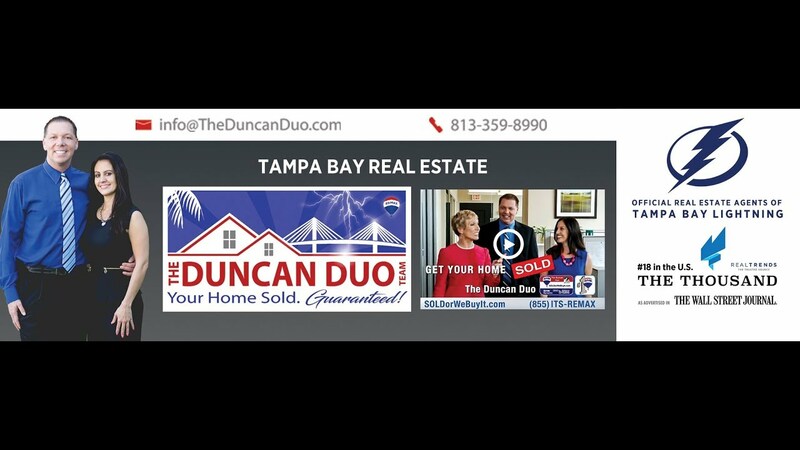 As one of the most respected Realtors in the country, The Duncan Duo have also garnered endorsements from Jack Harris on 970WFLA where they also host their own radio show, and Ron Diaz on 620WDAE. Through the years, they have been endorsed by several other local and national celebrities and have helped multiple celebrities and professional athletes buy and sell real estate In addition, they have been ranked on the Inc5000 list for America’s Fastest Growing Privately owned companies 5 years running. They have a track record of doubling, tripling and quadrupling agent income from their prior Brokerages and have an amazing training and mentoring program for brand new agents to learn the business and get into production quickly. The Duncan Duo are regularly looking for great team members to join their team and you can inquire in the message box at the top or by clicking here to apply directly via our recent hiring ad.